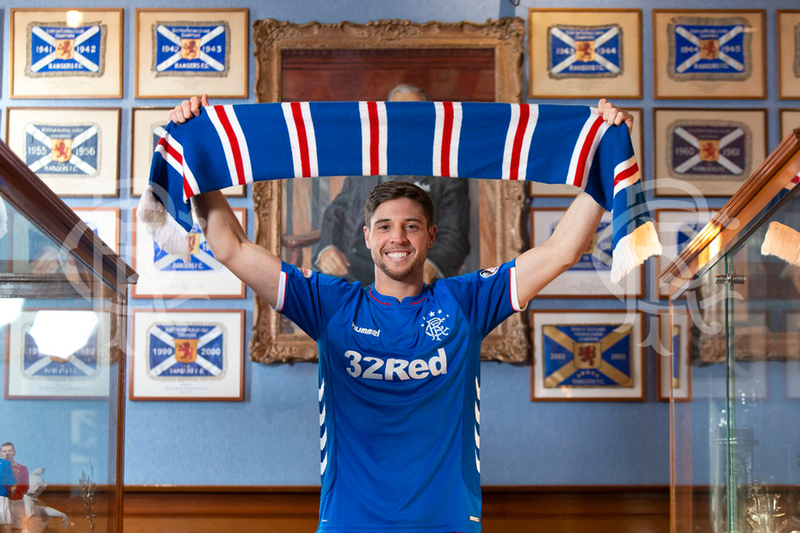 Matt Polster joins world renowned club, Glasgow Rangers FC, and embarks on his new career in Europe. “This is something that I’ve always dreamed about doing. As a little boy, a lot of people would know that I wanted to play in Europe, before even going to MLS," stated Matt Polster. “To finally do it, for this kind of club has left me feeling speechless in a way. It’s been busy, my fiance and I traveled to Paris to get our work visas and we were able to get that done and fly back here." "In 2013, the Highlanders and the Northwest Division of the USL were the perfect fit for Matt," stated Simon Keith. "Getting an opportunity to play against the Whitecaps U23, Timbers U23 and Sounders U23, all MLS sides were what made the Highlanders an attractive option for Matt at that time of his development." "I'm proud that a kid for Las Vegas - which is not a strong a soccer community as Victoria - got the chance to play at a high-level in MLS for four years and now to be able to play for the Glasgow Rangers. It's astounding!" Speaking to the Highlanders faithful, Polster said: "Once a highlander, always a highlander! All the best this season 👍"
Congratulations, Matt. We look forward to watching you flourish in Scotland.